For Indian Customers, there are currently 3 methods available – Cash on delivery, PayTm payments and secure online transactions through CCavenue. For International Customers, 2 secure and safe methods are available through PayPal and CCavenue. What time period of teas are customers receiving when they order Halmari Tea? 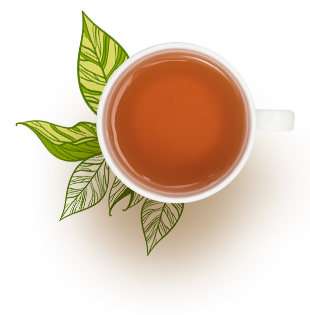 Teas which are available for online customers are made and stored during the peak season ( second flush time) of mid may end to July The best quality of tea is only ensured and absolutely fresh teas are delivered to your doorstep. If you order after July, don’t worry as our teas are stored fresh at our estates and you will still receive only second flush teas. That is one of the reasons why we can assure you of the ultimate tea experience. Also we try to ensure you get just a little more than your order so you are never feel cheated. Example if you order 250 gm of GTGFOP 1, we’ll send you 260gm. How long does it take to receive the teas after we put in an order? For Indian customers, it will on average take 3 days to reach your doorstep as long as there are no national holidays in between. For International customers, it will take on average 6 days for our teas to reach your doorstep. A tracking ID is given to your registered Email ID. All of our teas whether for national or international consumption are shipped via Fedex. How are Halmari Teas packed? We have a very obsessive need to ensure quality to our customers, our teas are packed in world class packaging as to ensure you receive absolutely fresh and aroma filled packets. However to ensure your teas do stay fresh for more than a year, please store in an airtight container in a cool environment. If for some reason you do decide to cancel your order, we will provide you a full refund in 2-3 days time as long as your order has not been shipped from our estate. This policy does not apply for cash on delivery. How do I get free samples of teas? Free samples are available to anyone who purchases more than Rs 4000 or $75 dollars worth of Halmari tea. You will see an option on our checkout page if your order crosses the above amounts and you can choose any or all of the remaining tea choices which you have not ordered. You will receive 10gm or 4 cups worth of a sample along with your order. What if want to know more about any other topic or want to directly contact someone. You can always email soham@amarawatitea.com who is the vice president and always loves taking matters into his own hands or you can email info@amarawatitea.com as well. We believe in true forms of communication so there are no automated emails or bots answering your queries.